Team Picture " Classic:M " offers up a seismic proportion of fuzz-rock, showcasing the Leeds natives in all their glory. 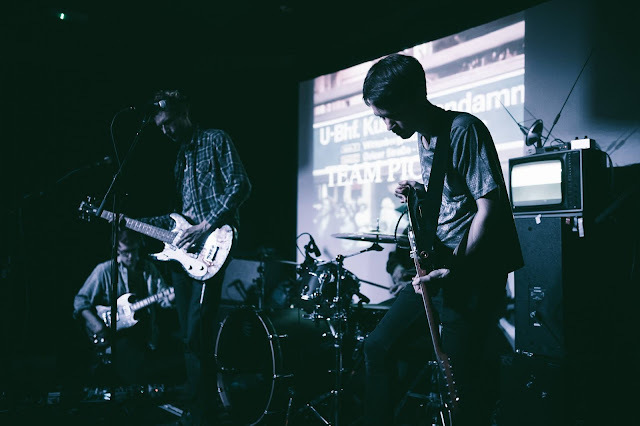 Team Picture "Classic:M" offers up a seismic proportion of fuzz-rock, showcasing the Leeds natives in all their glory. "Classic:M" offers up power, energy and distortion, a full-blooded rock track. It's no-nonsense, thick and jammy. It's brilliant. Team Picture are set for a couple of local shows over the coming months along with a London date in October, see the tour dates below. Listen to Team Picture "Classic:M" below. If you're still into this sort of thing, you can buy a copy of "Classic:M" on iTunes.